​"Xiaomi's dual-folding phone is coming! 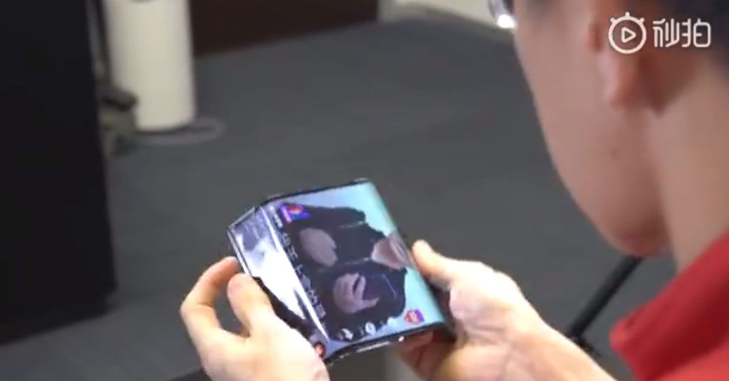 After tackling flexible folding display, four-way folding hinge, flexible cover tech, MIUI adaptation and other technical challenges, we have made the first foldable phone, and should also be the world's first dual-folding phone. This symmetrically dual-outer-folding form factor perfectly merges the experience of a tablet and a phone, it's both practical and beautiful. Even though it's still a prototype, we're showing it to you all. Feel free to share, comment and like. If you all like it, we will consider mass-producing it. Also, we would like to give this prototype a name. What do you think? I have two: Mi Dual Flex, Mi MIX Flex. Suggestions are welcome!" The speakers (and their grilles) have been replaced by a piezo-electric sound system that turns the entire screen into a vibrating surface capable of making sound. And headphone audio uses Bluetooth, of course.